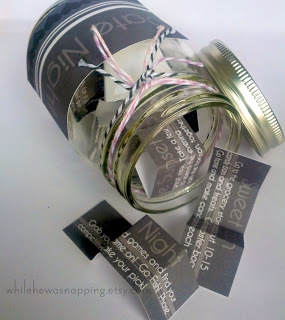 Get a jar and this fun printable from While He was Napping to make your own date night jar. There are some great unique ideas for date nights for you and your sweetheart. Start this date night jar anytime or give as a gift for Valentine's Day. Head on over to print your own date night jar free printable.